Hi Wellesley, how r U and ur lovely family doing? I have a big favor. I have some very special close friends of mine that wants to come down there for a few days of relaxing, they are looking for a safe semi private villa with a cook beach side without the regular tourist. They wants to feel as if they are a home. During Dec. 26-31. I thought of Portland but with the limited time, too many hours would be wasted on traveling. They are a young couple with a baby, (not rich, just saved for a mini vacation) smile! We are great Carol thanks - just tired; lots of work - but I am loving it! As I indicated to you via email, I am not too close to the business of villas here in Jamaica but I know that several of my other website fans (and subscribers) have been here and have stayed -and enjoyed some great villas here in Jamaica. I will be sharing your question with them and solicit their suggestions and feedback below. Just keep on eye on this thread OK. 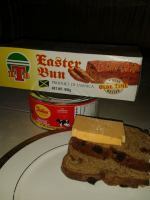 I will also suggest that you contact Lisa - a friend of mine from Jamaican Treasures. She has a wide array of villas for her clients to choose from - all across the island. Click here to contact Lisa. Good luck you and your friends Carol! I usually stay at the Spanish Court Apartments (Condo) in Discovery Bay. Its right across the street from Puerto Seco Beach. You can stand on the balcony and call down to the Police Station on the street below (if need be). Trident Villas is the best in Portland--safe. accessible and fun. Don't know if cost might be a deterent though. Thanks to all those who provided feedback and suggestions. This is great. Carol also said thanks. We have been comfortable in the villas at the Silver-Sands complex although they can get a bit pricey. Perhaps a condo would also suit and if so Fisherman's Point in Ocho Rios or Jean Gaynar's Negril Beach Club Condos in Negril. Both are in walking distance of everything. ove Portland or near by. Thanks to "EVERYONE" who posted with ideas on finding a villa. Sorry! I did not mean to offend when I mentioned "Safe". Please do not take it that way. I am Jamaican, unfortunately, I have been away from there for almost 50 yrs. I do still get mad when someone talks negative about "my home"; so you see, that was not my intention. The friends I am helping are not from there, my choice of words I guess was off. Again, sorry! I did not mean to offend. All the Ideas sounds so lovely and I am sure I will find something. Thanks Wellesley, I know that I can always count on you and your friends. Thanks to "EVERYONE" who posted with ideas on finding a villa. Sorry! I did not mean to offend when I mentioned "Safe". Please do not take it that way. I am Jamaican, unfortunately, I have been away from there for almost 50yrs. I do still get mad when someone talks negative about "my home"; so you see, that was not my intention. ROUNDHILL RESORT ON THE WAY TO NEGRIL! My wife and I truly enjoyed our last trip to the wonderful island of Jamaica. We look forward to many more days in the sun, with good people and delicious foods. I wanted to post and recommendation given to me by a trusted friend. He and his wife completely loved this place. It is in the south west just past Negril. Apparently the sunset on the beach are heavenly. The inn is the The Westender Inn (www.WestenderInn.com). It is a little off the beaten trail, but close enough to Negril that a shopping excursion is still possible. I am told, the owners and staff are truly friendly and helpful people. I have found that to be true for so many Jamaicans. Cheers and have a wonderful time! Love the jerk and the devour the Ackee and Saltfish! I have been traveling to Jamaica since 1986. I have stayed all over the island, even Kingston with no worries. I try to stay in small boutique resorts, I don't do all-inclusive resorts because why bother going to Jamaica if your going to eat at the same place every night?! I like places like Country Country, Seashore Bay Beach, any resort in Negril would be a safe acceptable place for a young family with small child to travel too. The beach there is so calm most every day that the baby will have fun building sand castles there. I will be staying at Country Country from December 25 through January 2...maybe I can meet up with the family if they decide on Negril. I struggle when people talk about safety in Jamaica. I have been visiting for 8 years now and have no problem with safety. People need to be smart. Do what you do at home. Do you go to unsafe places at unsafe hours. If this is what you do then Jamaica is as safe as home. A great B&B in Tower Isles, St Mary. Castlepoint. Small quaint, always like visiting family. SAFE. Just 8 minutes out of Ocho Rios. Many villas are in great areas of Jamaica. I rent a lot of them in Tryall Club in Hopewell. I also have a few fabulous villas in Ochi. Lime Tree Villa next to Hermosa Cove is a 5 bedroom seafront villa with security. I just got a cancelation for Christmas week. It is available for $12000 for the week. I can be reached at 1 876 413 2510. 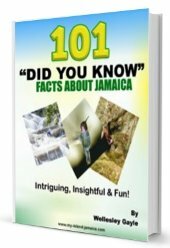 Jamaica as one of the biggest tourist attraction countries in the Caribbean have nice and affordable villas for tourists or visitors.If it's hard to find on line contact one you know on arrival to help you. Meanwhile here is a link to one.